At Nail-issimo! Salon and Spa we take pride in keeping up with the latest treatments, technology and techniques that skin care has to offer today; most recently we have added microdermabrasion. We focus on result skin care as we gently ease away the pressures and stresses of the world. We provide a private and relaxing ambiance for all to enjoy. All our facials are performed by a highly skilled professional with your comfort and relaxation our utmost priority. A custom facial designed for men and women with deep-pore cleansing, removal of impurities, and a choice of masque or an exfoliating peel. 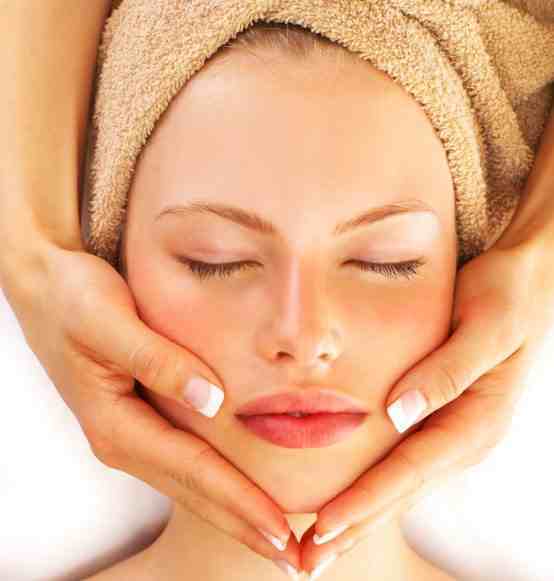 Relax with a facial massage and finish with moisture protection. Restore the look and feel of healthy radiant skin with deep-pore cleansing, exfoliation, masque and removal of impurities. Melt away into deep relaxation with a scalp, neck and shoulder massage that extends to your arms and hands and finishes with a hand treatment to restore their youthfulness. Ask your esthetician about additional treatment options. Make-up application that is perfect for any occasion: weddings, social gatherings and school dances. Please allow a minimum of 1/4 inch hair growth. Please omit caffeine prior to your wax, this increases sensitivity. Exfoliate the day after and twice a week thereafter to avoid ingrown hairs. To make your waxing more comfortable during and after the procedure take ibuprofen prior to treatment. Don’t wax three days before your menstrual cycle; skin is most sensitive during this time. Please tell you esthetician if you are on Retin-A. Never wax if you are taking Accutane.